"One of the oldest techniques"
Ljiljana always loved to experiment when it comes to techniques; she went from modern to traditional ways. In painting portraits of people and saints she started with acrylic, mixed techniques and water-based oil paint on paper, board or canvas. 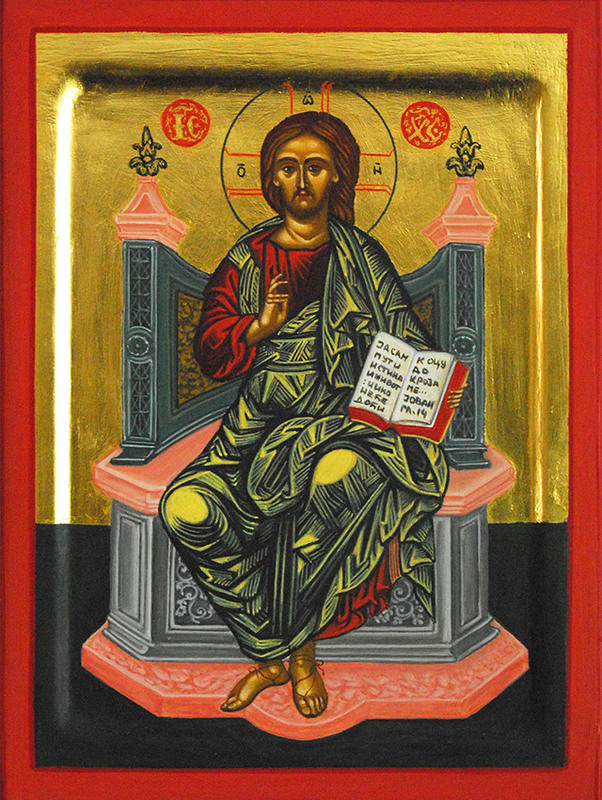 However, when fifteen years ago she started painting icons, she adopted one of the oldest techniques – self made egg tempera paint. This paint is a mixture of a yolk-vinegar emulsion, and pigments (the colouring elements). The paint is applied on wood panel, coated with linen and many layers of gesso (a mixture of glue and chalk). For creating halos and backgrounds, Ljiljana uses gold leaf.